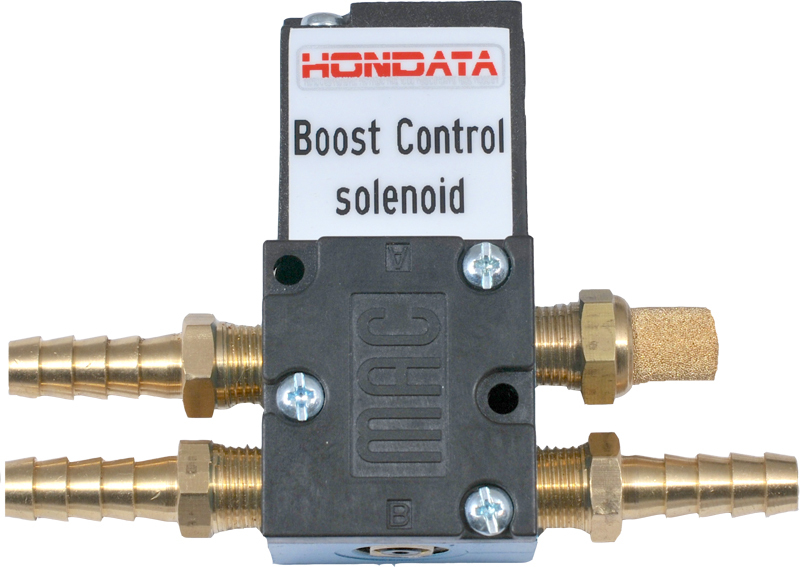 The Hondata 4-port boost control solenoid allows Hondata equipped ECU's to control boost levels through the Hondata software. Using the 4 port solenoid instead of the older style 3 port solenoid provides better boost control on both high and low boost applications. This is achieved by controlling pressure to both the top and bottom side of the wastegate. This allows better low boost level control without sacrificing high boost control. As with the standard Hondata boost control solenoid, the solenoid is normally closed so that if it were to ever fail you will run off the wastegate spring and not over-boost and damage your engine.